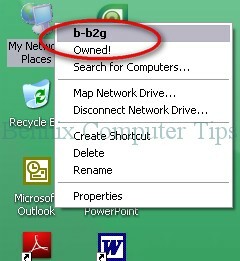 Home Virus Removal Guide How to remove Samok.vbs and b-b2g virus totally? 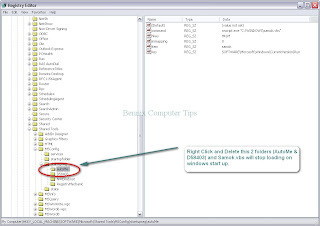 How to remove Samok.vbs and b-b2g virus totally? Just a short story, yesterday I was assigned to repair an old cranky computer in our office staff and it was almost five months when I last check his unit. I wonder what the problem with the unit is because the user is always complaining to it. When I begin checking, doing basic task to detect threat infection I already know that the PC was on controlled by virus. Have you encountered this kind of threat in your computer named” Samok.vbs and b-b2g (aka. Madforelmo)? Well, it’s time for you to know that this is not a peanut like threat that could infect your PCs. Probably, the threat was invented by a Filipino, a Cebuano or bisaya that the term “samok” means troublesome or conflict in our own dialect. I don’t know with b-b2g / madforelmo, I think it’s the pseudonym or initials of the one who created the virus. 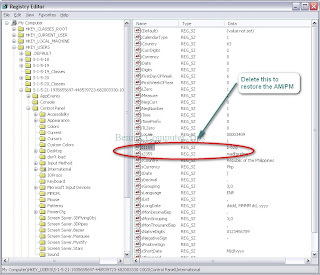 The virus was transmitted through USB Drives with autorun files. How to stop Samok.vbs and b-b2g virus? 1. Since, you can’t open the taskmanager, I try the MS Config Tool. To open the Msconfig without using the Run which is missing also. We will try it using the Notepad. 1. Open the Notepad. 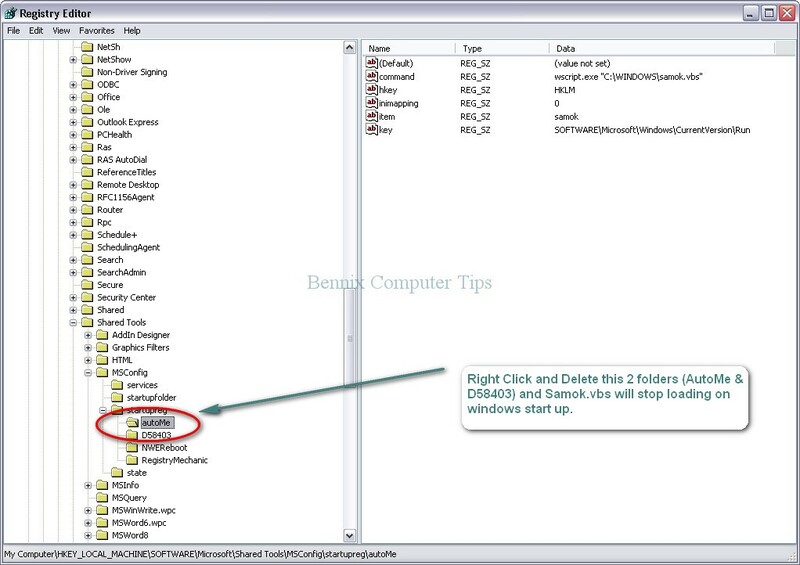 Type this : Start MSconfig.exe and save it in any name in your desktop with .bat file extension. 4. After your done, close the msconfig and just choose restart later. 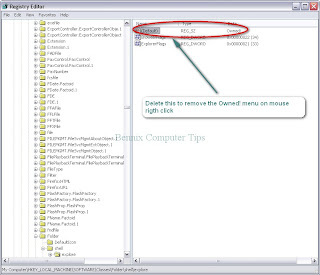 a. USB Virus Scan (need key PM me)– Could also fix your disabled registry, taskmanager, view folder option in the explorer and other fixing purpose. c. Avast 4.8 Home Edition or 5.0 free edition –Could detect Samok.vbs , autrun.inf ,D5403.exe andb- b2g threat. (optional for complete threat removal). 4. 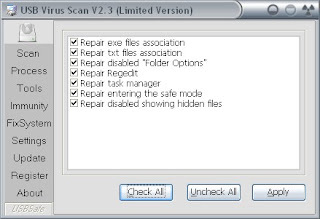 Run the USB Virus Scan and minimize it. 5. 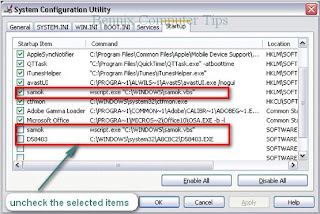 Run Autoruns or HijackThis and find the following registry values and delete them. 6. 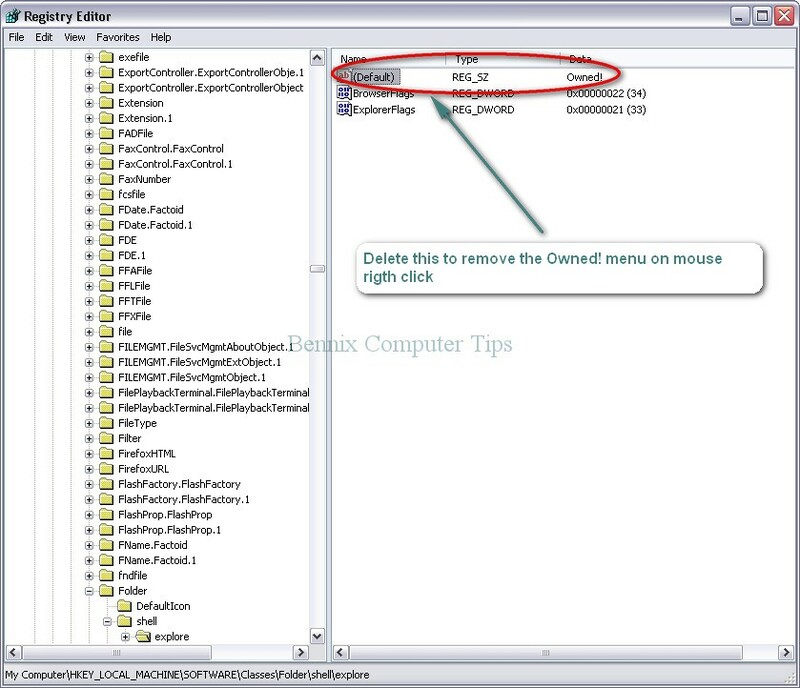 While scanning open the USB Virus Scan and click on the FixSystem menu, click check all then, press the APPLY button. (the regedit / registry must work). 8. Open the bat file and wait until it will open the registry. 9. 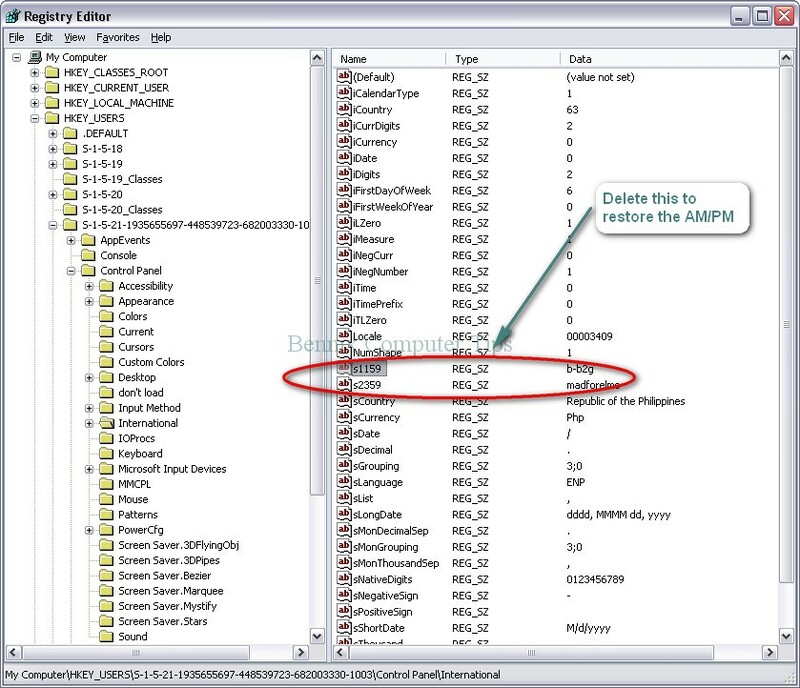 In the resgistry, find the following and delete it. Delete this to remove the b-b2g and owned! menu in mouse right click. [HKEY_LOCAL_MACHINE\SOFTWARE\Microsoft\Windows\CurrentVersion\Run] autoMe = "wscript.exe "%Windir%\samok.vbs""
[HKEY_CURRENT_USER\Control Panel\International] –s1159 = "b-b2g"
After you have done all manual steps to remove samok.vbs and b-b2g virus. Install Avast free edition and run a Boot Time Scan. I promise all those Samok.vbs and B-b2g element will be removed. 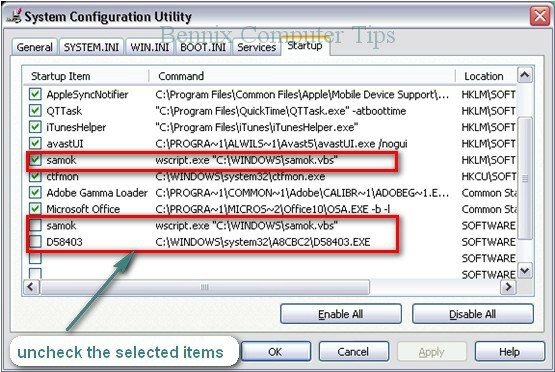 Combofix and USB Virus Scan can also kill the threat.